I just had word that this piece SOLD last week, through the cooperative shop/gallery that hosts a few of my pieces. How delightful! I am always honoured and thrilled to learn that a wonderful person out there has been so touched by a painting I've created that they willingly exchange their hard earned money to own it. Welcome to my new Collector! 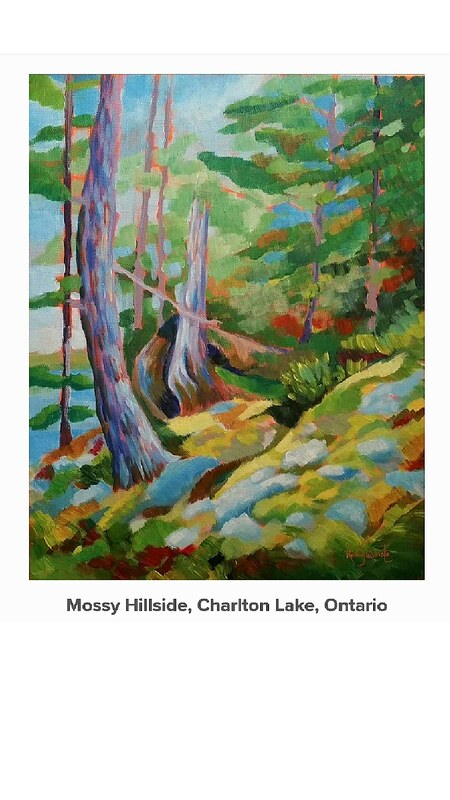 Created as a plein air study, this painting attempts to capture the colours and shades of vibrant moss and light splashed across a tiny island hillside in Charlton Lake, Ontario.